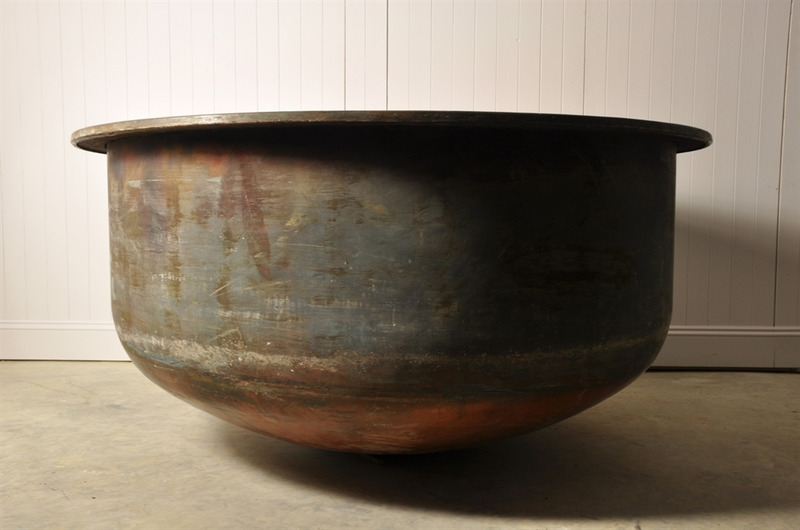 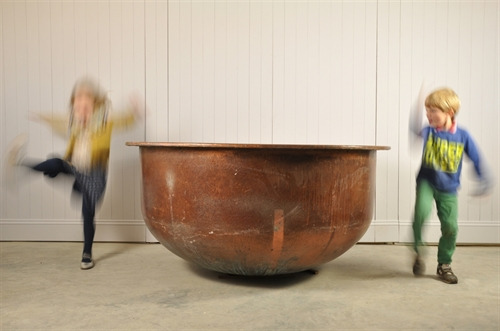 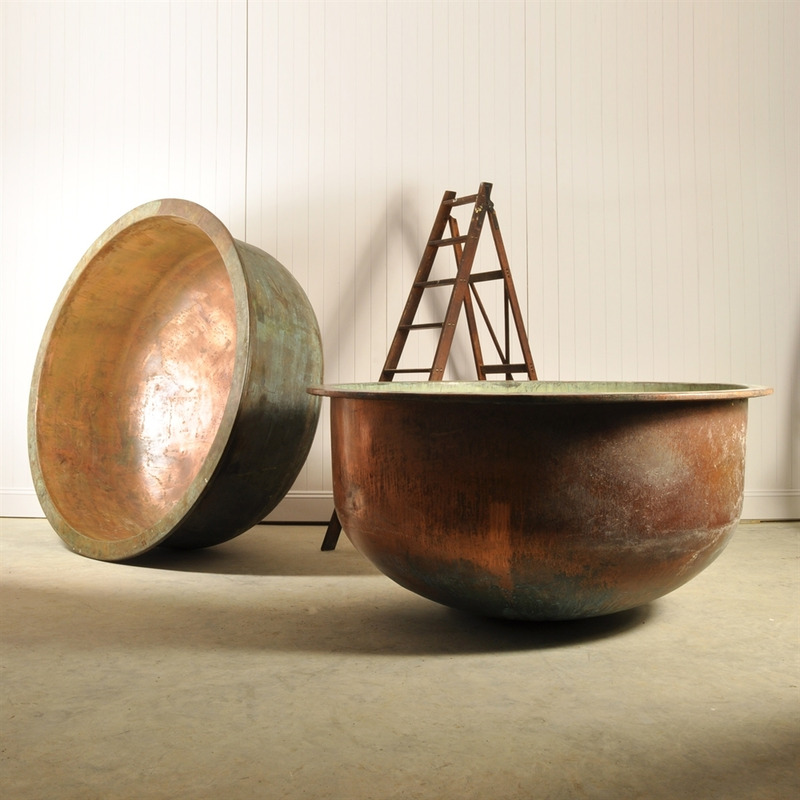 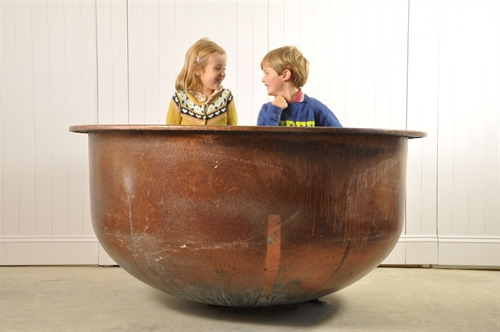 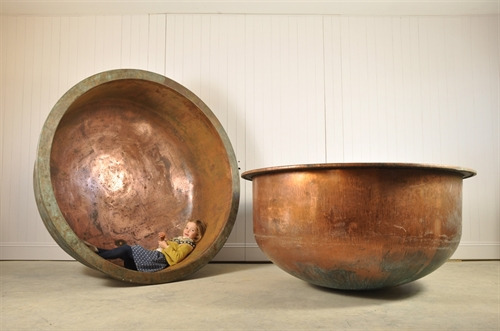 These impressive copper bowls are circa 1880 and were sourced in Provence where they were used in cheese making. In great condition with some lovely natural verdigris patina. 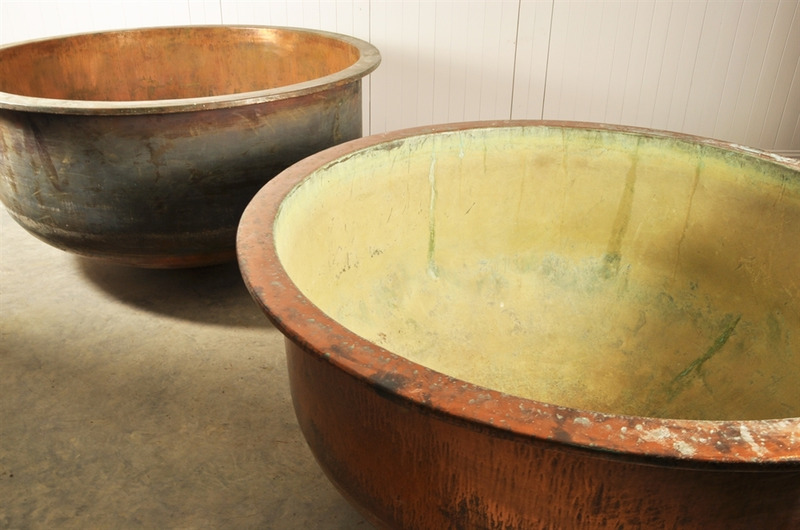 These antique cheese vats are water tight. 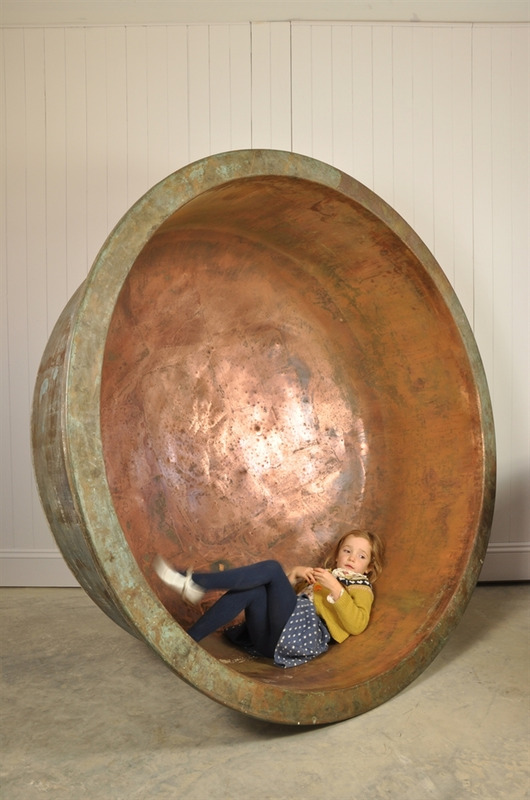 We love these as a sculptural piece in a garden or even planted with a tree or our kids think these would make a great hot tub or fountain for them to swim in! 85 cm @ 165 cm diameter. 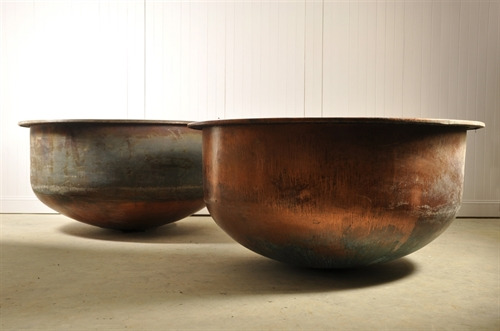 Just the brighter copper coloured exterior one now reserved.